State-funded mainstream schools include academies, free schools, city technology colleges and further education colleges with provision for 14- to 16-year-olds. They exclude state-funded special schools, independent schools, independent special schools, non-maintained special schools, hospital schools, pupil referral units and alternative provision. Alternative provision includes academy and free school alternative provision. Some zero percentages may represent small numbers due to rounding. From 2015/16, to meet the English requirement of the A*-C in English and maths attainment measure, a C in either English language or English literature counted and there was no requirement to take both. From 2017, following the introduction of the reformed 9 to 1 GCSEs in English, a grade 5 or above in either English language or English literature counts and there remains no requirement to take both. The 9-4 measure shows pupils who achieved a grade 4 or above in either English language or English literature and maths and is shown alongside the headline measure for transparency and comparability. As announced in July 2017, from 2018 the headline EBacc attainment measure is the EBacc average point score (EBacc APS). EBacc APS measures pupils’ point scores across the five pillars of the EBacc. This ensures the attainment of all pupils is recognised, not just those at particular grade boundaries, encouraging schools to enter pupils of all abilities, and support them to achieve their full potential. EBacc APS was introduced in 2018 as headline measure. Threshold measures included for completeness and are reported as a percentage of pupils at the end of key stage 4. 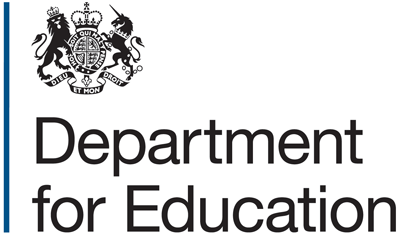 The two threshold measures are: i) proportion of pupils achieving grade 5 or above in reformed EBacc GCSEs and grade C or above in unreformed GCSEs, ii) threshold of grade 4/C and above for reformed and unreformed subjects respectively. In 2017 only English and maths had reformed exam results, but in 2018 most EBacc subjects are now reformed, so be very cautious about comparisons between threshold measures in 2017 and 2018.